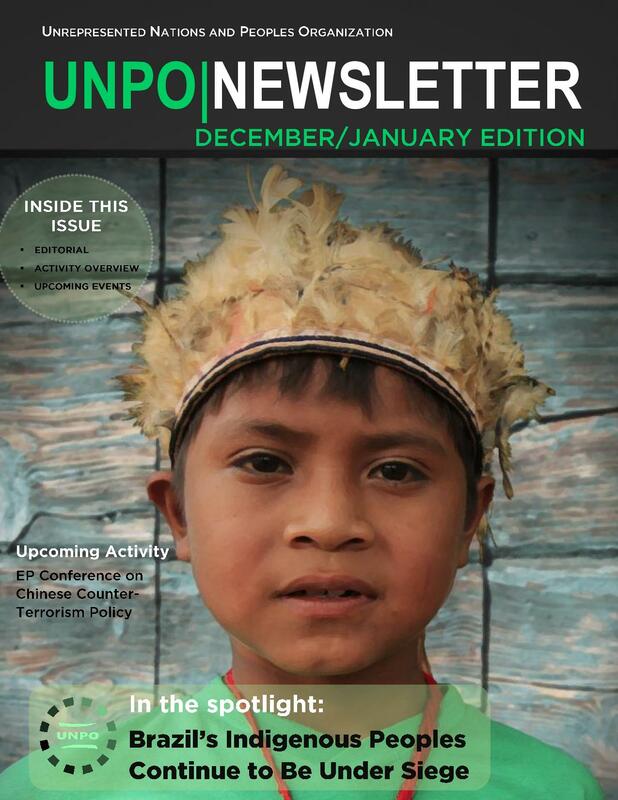 UNPO's December - January Newsletter is here! In December, the Unrepresented Nations and Peoples Organization (UNPO) organised a fact-finding mission to Brazil in collaboration with several Members of the European Parliament, a conference at the House of Commons and a roundtable at the Bavarian Parliament, in addition to allowing its members to participate in a discussion with the European Parliament's delegation for relations with Iran. Furthermore, UNPO witnessed the conclusion of a project it had been following for two years, with the adoption of the Protocol to Ensure Language Rights in Donostia-San Sebastián, in the Basque Country. In January, in addition to several rounds of advocacy meetings for its members, UNPO submitted an alternative report on Rwanda's implementation of the UN Convention on the Elimination of All Forms of Discrimination against Women (CEDAW). To read more about our past and upcoming activities, download the December 2016 - January 2017 edition of the UNPO Newsletter. Copyright © 2016 UNPO, All rights reserved. You are subscribed to the Unrepresented Nations and Peoples newsletter.